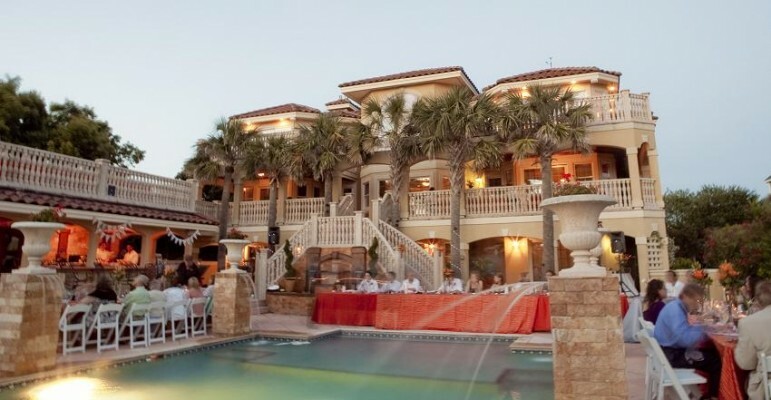 Why Select East Coast Construction Group, Inc. To Build Your Outer Banks Dream Home? There is nothing more rewarding than building your very own custom home from start to finish. East Coast Construction Group, Inc. is a family owned, full-service construction company owned by Bill & Kim Lane. Bill & Kim Lane are both licensed general contractors who have been building for over 30 years on the Outer Banks. Bill and Kim’s hands-on approach keeps you informed of every progression of your new home. Their extensive knowledge will ensure your home is built with the highest standards of quality at the most affordable price. Every home built by ECCG, Inc. is built with the meticulous attention to detail as if it was their very own home. Their lasting relationships with the area’s best subcontractors guarantee every detail in your new home is the highest craftsmanship. East Coast Construction Group, Inc. builds all types of homes, from modest 3 bedroom residential homes to luxurious 18 bedroom vacation estates. ECCG has the experience and know-how to make your project a success. The Lane family has built over 600 Outer Banks Homes from Corolla to Hatteras Island, in many of the area’s most prestigious communities. ECCG, Inc. has a pulse on the current construction trends, finishes and latest innovations. ECCG, Inc. is very familiar with the challenges and regulations that pertain to building in a coastal environment. ECCG, Inc. is very knowledgeable about the permitting and building ordinances in each of the Outer Banks area’s Towns and Counties, as well as NC construction restrictions, regulations and ordinances. They will guide you every step of the way and keep you well-informed and educated about every aspect of your new home. They can also assist you with land selection, acquisition and land development to make the best possible usage of your property. Their exceptional experience in today’s rental market gives your new home a competitive edge. Bill and Kim Lane have been true innovators in the Outer Banks rental market. They were the first to design and build their own signature pool houses, infinity-edge pools, sports bars, state-of-the-art theater rooms and impressive glass elevators with custom painted murals. Their signature homes are recognizable all along the Outer Banks and they know what the most discriminating guests demand from a vacation rental. Bill and Kim Lane can offer their expertise and offer design suggestions to make your vacation rental more profitable and enjoyable for guests. ECCG, Inc. has a variety of Floor Plans available in every price range. From our affordable 3 Bedroom Beach Box plan to larger vacation homes with 10+ Bedrooms, they have plans to suit almost every budget and lot. Please contact Bill Lane today for more information about available floor plans and to speak with him directly about building your Outer Banks Dream Home.